Levi’s denim remains to be an all American classic that’s constantly in style and is also what the styling in CR Fashion Book’s denim guide revolves around. Sibui Nazarenko, looks effortlessly laid-back on the streets of New York in a surplus of layered denim, oversize knits, and pointy toed flats from Celine. Needless to say minimalist dressers are especially fond of the wide-leg trousers paired with Stan Smith trainers, even if the combination has been a fashion crowd favorite for a while. 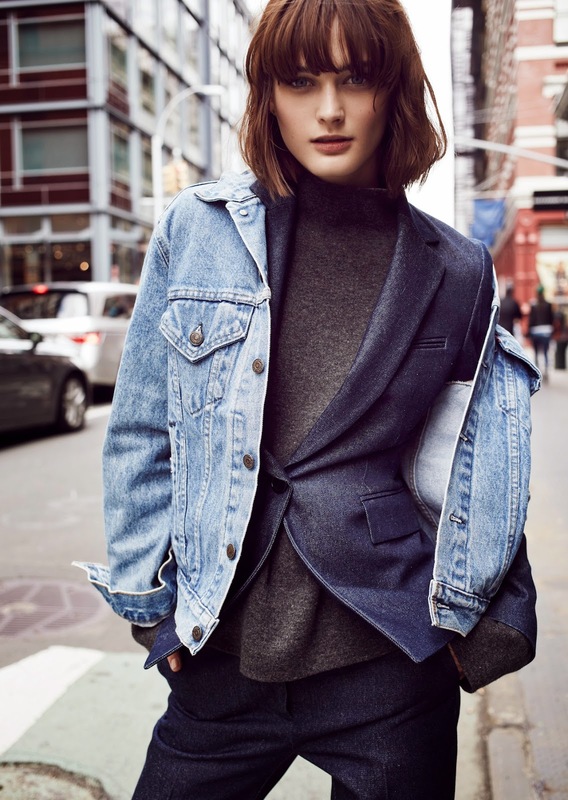 Denim jackets slung over blazers and tied around the waist also provides a chic fresh take on how to style the traditional jean jacket, theirs no denying how much we don’t mind the way each nonchalance ensemble is playing with different proportions. CR’s editor and contributing stylist Michaela Dosamantes has most definitely made us all embrace some clever pairings and different denim silhouettes, sartorially speaking. The pinstripe Christian Dior trousers and coat followed by the Giorgio Armani houndstooth blazer and trousers, paired with the Levi’s denim tied around the waist with the Celine flats are, of course the Chicest Degree’s favorite looks. How will you be pairing your denim this season? Tell me everything, leave nothing out.